SLIKstitches: 2018 Wk 20 - What happened to the blog? 2018 Wk 20 - What happened to the blog? Sandra recently messaged me to tell me "Your blog seems glitchy - or is it my computer". She went to to explain " I've noticed some weird glitchy things involving your blog. Your posts list in my blog reader, but when I click on them, it just opens another copy of the blog reader page. That's been happening for a while, and I assumed it was a bug with the blog reader. However, when I actually GO to your blog, to the homepage, your first/latest post isn't clickable - it's viewable at the top of the page, but it isn't clickable so I can't go to the first post. Also, if I click on Comments to post a comment, it goes nowhere. If I scroll down the page though, and go to a different, older post - I can get the post page up and I can comment." Anyway, apologies if it misbehaves, and if you have ANY idea how to correct it please let me know! I am creating this post on the PC so it might behave better! I think the problem you describe seems different to the email problem we are all suffering at the moment. I hadn’t noticed this happening with your blog but I have seen it elsewhere. I’d noticed a particular blogger, on my Reader, with a new post, but couldn’t view it, I must admit I assumed the post was “scheduled” and would show up later. 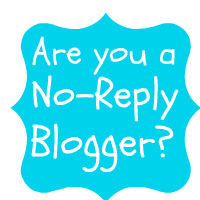 Blogger have said they have a few problems at the moment so maybe it will be sorted in time?! I hope! Whatever you did, or whatever the Blogger gods did, seems to have worked. 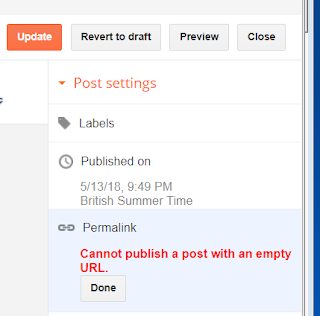 I can access your blog from my blog reader, and I can even access the individual posts like I should be able to. It's working fine now! I hope Blogger fixes the comments problem too - that's an annoying one! But I'm glad to be able to quickly get to your blog posts, Miss Benta ... I'd miss your fun project pictures and adventures!